I heard about giffgaff from a coworker after I was once again cursing the lack of signal in the office with my previous network provider. I recently (last week) migrated over to these guys. Here's a brief summary of what it is all about. Pay As You Go - contract free and free sim! No lock in means I'm not tied down to them if I'm happy and so my options remain open. Monthly Goody Bags - for a fixed fee there are packages you can add when you know your usage is going to be high. Genuinely unlimited Internet usage - though after further reading they don't allow tethering (which is fair enough - there will be people that will constantly stream content otherwise). Googling a little more and searching their community forums it seems there is an unofficial 20GB limit. I really don't feel this is particularly restrictive cap given my usage since I've had a smartphone. Free calls and text to fellow giffgaff users - this is quite common but useful to know. Runs on O2 network - I've used O2 for 14 years and their coverage is capable enough in my experience. Cash back scheme - spread the word and earn cash for using. I wouldn't personally go out and push a product unless I believed and used the product myself. It sounded perfect and other people that were already on giffgaff were happy with their experience. So I decided to move over to them. It really wasn't very difficult either. No sign of it, but I suspect Mr Postie being overwhelmed with Christmas post. Entered code on their website to active the SIM and created an account. Unfortunately it was after 10pm and would be active in the morning according to documentation. If I had done it before 10pm it would have been done in 30mins. I don't know why they can't activate throughout the night but I'm not too bothered. PAC texted to my phone. Ready to leave! SIM is active with PAYG credit I added via their website. Also setup auto topup. I enter PAC to begin transfer. Later in the day I got a message (via there website dashboard) from one of their agents confirming that it would be transferred tomorrow. Midday number has transferred. Woo hoo! No Internet access - a quick search gave me information for Android Settings. Added £10 GoodyBag to get me going. That's it! Looking back I reckon you can realistically change over to giffgaff in 2 days if you didn't have to wait for the SIM to turn up. For those people interested give me a yell in person as I have a few SIMs to hand out people in interested in trying it out. It comes with a free £5 credit. And I get something out of it too! Or you could click this link to request a SIM to be sent to you directly. So far the biggest noticeable change is that I have better connectivity (the issues I had with my previous provider you can find here) and have much more control about how much I spend or not spend on a monthly basis. The process of configuring my handset could be automated or eased by a simple settings request form as part of the dashboard. The experience overall is positive. We will see.. 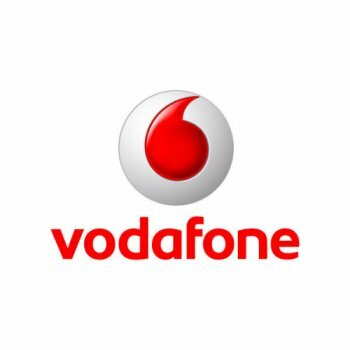 I have been a customer of Vodafone for almost 2 years and during this time there has been little interest or effort put into understanding if I was a happy customer. This is a common problem with big businesses - they lose the personal touch that the successful smaller businesses provide and finding new business is more important than keeping existing customers happy. The individual experience very quickly disappears into a statistic in a report appearing in some manager's email. Prior to signing up for a 24 month contract with Vodafone I was with O2 for over 14 years. The reason I stayed with them for such a long period was because my experience wasn't plagued with frustration and dissatisfaction. The reason I wandered to another provider was purely because they didn't offer the handset I wanted at the time. So what was it about Vodafone that was disappointing? 3G coverage - its poor.I live and work in central london - within zone 2. I rarely use my phone for calling people in favour of texting and mostly Internet browsing capability. I don't really care for any statistics or maps indicating how excellent their coverage is. What really matters is when I'm out and about I have connectivity rather my battery being drained from my handset trying to connect. 'Unlimited' Internet - it was labelled as such at the time. It was my first smart phone and I didn't really know what my monthly usage was going to be. Vodafone charged £5 for 500MB and the contract included 500MB for the month. This was generally enough on a quiet month when I wasn't doing much. Quiet months are usual for me. So this meant I spilled over 500MB often. When I was moving flat (before and after) when I didn't have Internet access at home I easily ended up using 2GB. For the amount of money I spent I was convinced I could get a better offer else where. 24 months minimum contract was the only one that was available to me to get the phone for free. This is too long and is a bad mismatch with the frequency of new handsets reaching the market. During the 24 months I did resort to buying a new handset outright. Also the price plan I was on was quickly became expensive with other market offerings. Website - unreliable and user unfriendly. This included java stack traces ofNull Pointer Exceptions in their web application. This does not make for a good user experience and just shows incompetence. I had requested a PAC to pass to my new provider and shortly afterwards a representative from Vodafone called me to try persuade me to stay with promise of lower monthly bills. It was a case of too little too late and I find it hard to justify continuing giving them my money. For those interested I moved over to giffgaff and I'll be summarising my experience so far in a future entry. Jason Tang. Awesome Inc. theme. Powered by Blogger.